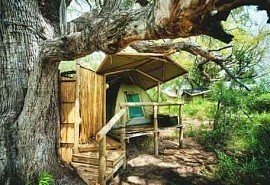 In this 6 night itinerary guests will explore the water wonderland that is the Okavango Delta at Xobega Island Camp. 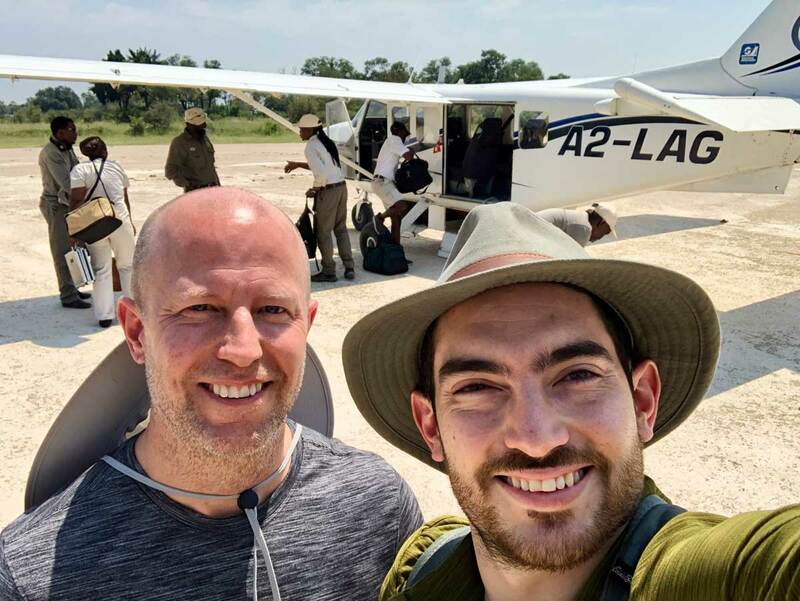 After spending 2 nights in the Delta, guests are light air transferred to the famous Savute Marsh in Chobe National Park where Camp Savuti will warmly welcome them for 2 nights. 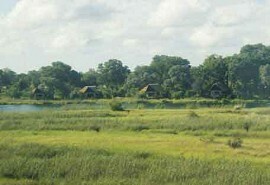 Guests will explore the area famous for its elephants and lions. The last stop is Motswiri Camp in the Selinda Spillway. Over the course of 2 nights, guests will explore the beautiful region via game drives, boating, mokoro and walking. Kicking off in the safari hub of Botswana, you will board your scheduled flight from Maun to Xakanaxa Airstrip in the Moremi Game Reserve. From here, a short game drive will take you to the boat station where your guide will be waiting to take you to Xobega Island Camp via a 1.5-hour boat cruise on the Okavango Delta. Let the game viewing begin! Upon arrival, you’ll be welcomed by the hosts on the island and shown to your room: a classic, canvas safari tent beneath the big, shady trees. 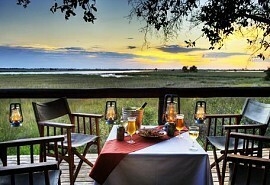 Enjoy a bite to eat and something to drink as you settle in, and then grab your camera and sunnies before embarking on a sunset boat cruise through the hippo-filled waterways between the Delta islands. After sundowners on the water, you’ll return to camp where a lively campfire is waiting to welcome you. A three-course dinner will be served in the dining tent, followed by a lullaby courtesy of the owls, nightjars, and the distant hyenas. As the birds announce the morning chorus, you’ll wake up to coffee and a good breakfast on Xobega Island. Once you’re well fuelled and kitted out, you’ll be escorted to the jetty and board the boat waiting to take you out on a morning cruise, which will take you on a tour of the Delta channels, hippo pools and heronries. The boat cruise will last most of the morning, so be prepared with sun block and extra memory cards! Upon returning to Xobega, you’ll have a chance to shower and refresh before lunch is served. After a good meal, you’re free to relax in the comfortable, shady lounge and watch the birds, or return to your tent for a well deserved siesta. In the afternoon, high tea will be served, and following that, a sunset cruise at the most beautiful time of day to be on the water. Just the same as the night before, you’ll arrive back on the island to a campfire and a three-course meal before bed. Wake up in your island tent for the last time and enjoy a filling breakfast before heading back to Xakanaxa to catch a scheduled flight to destination number two: Savuti. Take in the last of the Delta views from the boat as you cruise from Xobega to the mainland, hop into a game viewer to ride to the airstrip, and board a flight into Chobe National Park’s Savuti Airstrip. Once you land, your guide from Camp Savuti will be there to meet you, load you and your luggage into a game viewer and commence the game drive to the lodge. Keep your eyes peeled - you’re in some of Botswana’s most promising big game territory and are likely to see some exciting animals on the way. You will be welcomed by warm and friendly staff at Camp Savuti who will show you to your tents, which are elevated on wooden decking, facing the Savuti Channel. These raised tented suites are air-conditioned and have en suite bathrooms with a tub and outdoor shower to ensure maximum comfort. Get familiar with your wild surroundings and enjoy the premier positioning of the camp as you sit down to lunch and get to know your hosts. At around 16h00 it’s time for game drive! You will depart camp and head out into this magnificent part of Chobe, explore the sandy roads around the waterholes and koppies, and arrive at the famous open grasslands of the Savute Marsh. Stopping for sundowners will give you an opportunity to stretch your legs, admire the sunset, and sip on something refreshing before making your way back to camp before it gets dark. As the stars emerge in the sky, settle down for an al fresco-style three-course dinner next to a dancing fire to see out your first day in Savuti. This morning follows a classic safari schedule, with plenty of time exploring the great Savuti wilderness from the back of a game viewer, a few excellent meals to fill bellies and refuel, and a couple of hours to relax in between activities. First thing in the morning you will receive an early wake up call at your tent, followed quickly by coffee and a light breakfast to prepare you for your first morning game drive. You will depart at sunrise and spend the morning looking for wildlife and enjoying the breeze in your hair. Hot drinks and biscuits will be served half way through, and eventually you will return to camp for a shower and some lunch. 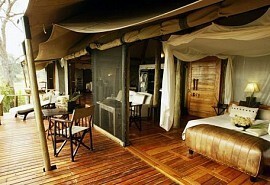 After that, there is time for a siesta, followed by high tea, and then your evening game drive complete with sundowners. 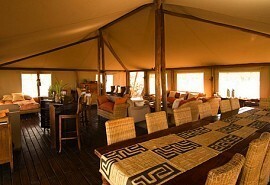 Return to camp for another excellent meal under the stars and one more comfortable night under canvas in Chobe. This morning you will depart for the final destination of the Trails of Botswana journey: Selinda Reserve, north of the Okavango Delta. Wake up to an early morning breakfast and some coffee and pack your bags because this game drive will end at the Savuti Airstrip so you can connect with your scheduled flight to Motswiri Camp. After breakfast you will depart on your last Savuti game drive, so take it all in before the scenery and wildlife changes once again! Your game drive will end at the airstrip where your bags will have been delivered. Bid farewell to your Camp Savuti guide and board your air transfer for the short flight to Motswiri Airstrip in Selinda. Upon arrival, you will be greeted by your guide from Motswiri Camp, and once more invited to board a game viewer, which will take you to your new camp. 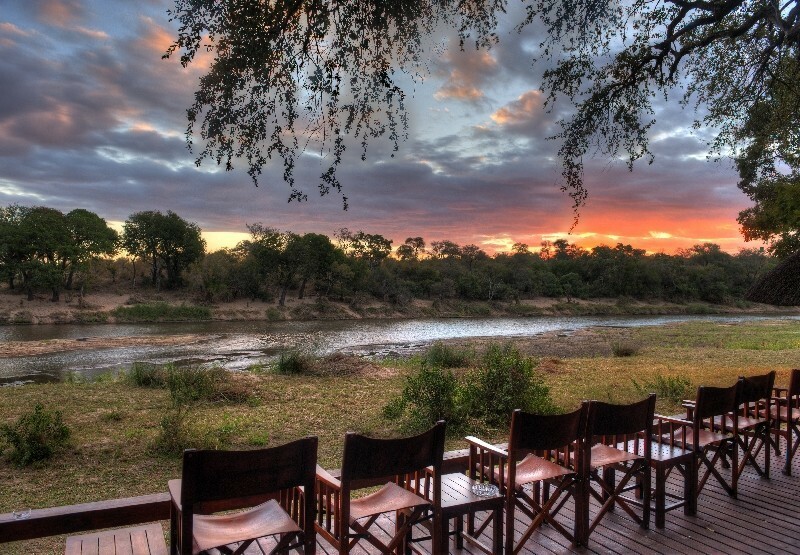 This is your first look at the pristine Selinda surroundings you will spend the next couple of days discovering. 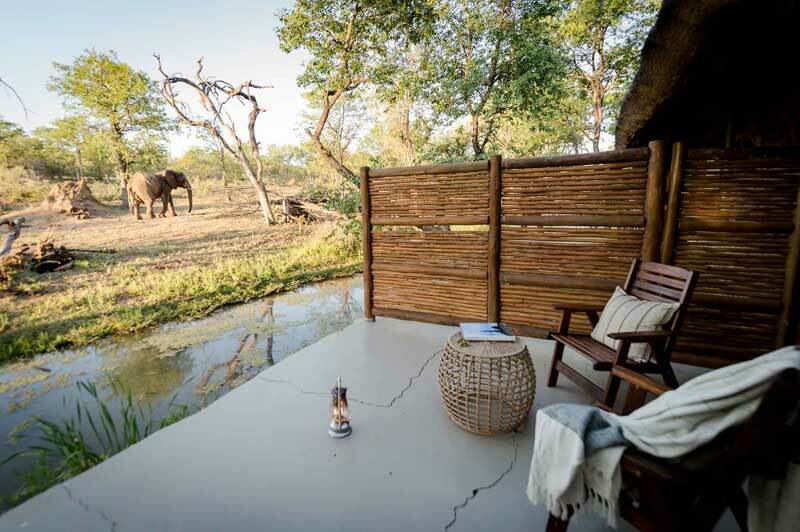 Once settled in at Motswiri Camp, where your luxury tented suites are positioned to look out onto the Selinda Spillway and the floodplain beyond, you can get to know the staff and enjoy lunch and some refreshments at the dining table on the deck. The views at this camp are remarkable, and you are unlikely to see another person during your stay. Enjoy the remoteness of this site, and keep a look out for wildlife wandering around. Soon, it is time for your first game drive, which will take you through the unique landscape combination of dry savannah and floodplain. Selinda is known for elephant and buffalo, as well as rare sable and roan antelope. Of course, sundowners are part and parcel of the experience, and once back at camp, there will be a big campfire burning in the open-air boma on the banks of the spillway. Enjoy a delicious meal and some after dinner chat before heading off to bed in total comfort. This morning at Motswiri Camp, you will have your first opportunity to experience the wilderness on foot. There couldn’t be a better place to explore nature in detail than in Selinda. The landscapes lend themselves well to guided walks, and your expert guide will certainly offer up some fascinating knowledge and animal encounters on foot. 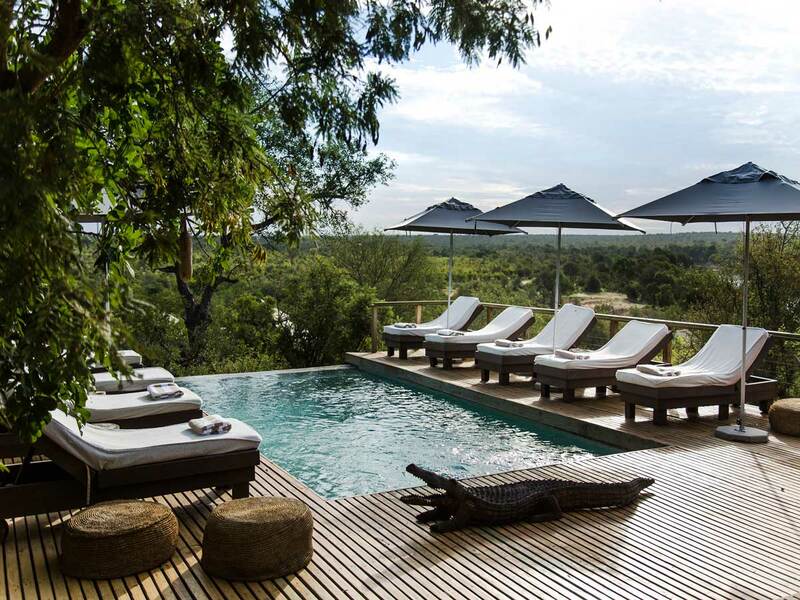 You will depart after a light breakfast in the boma, and return a few hours later ready for a swim, or shower, and some lunch before whiling away the afternoon at the pool, or in one of the lounges overlooking the extensive floodplain in front of camp. 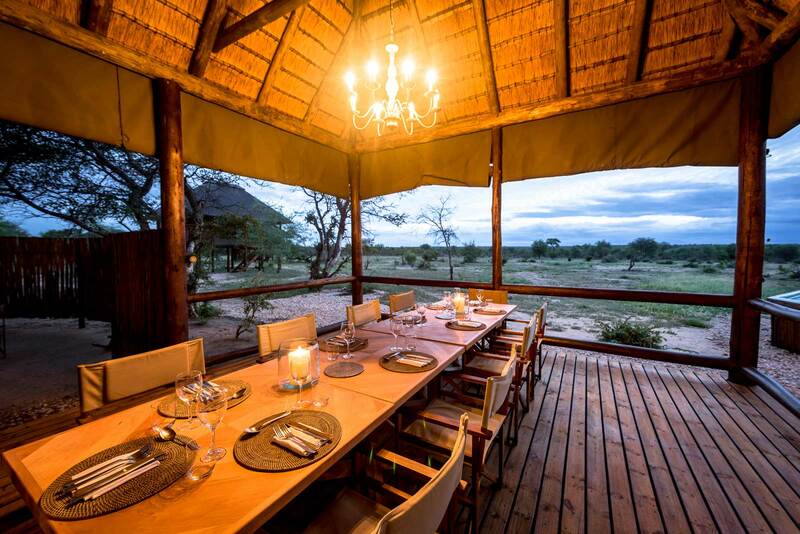 In the afternoon, you’ll head out on a traditional game drive with scenic sundowners, ending back at camp where you can settle in around the fire and take in the African night and nurture the memories you’ve made in Botswana. Dinner and a good sleep complete an excellent day at Motswiri. On your last morning, wake up to your private view of the spillway and make your way to the lodge for breakfast before departing on one final game drive ending at the airstrip. Say your goodbyes and board your flight from Selinda to your connecting destination (Maun/Kasane). From US$3680 in per person sharing.